Greg, I like the colors and texture of the first image best, but the perspective and the bird of this one make it a more interesting shot...but I would be tempted to "move" the bird to the other image, and brighten up cliff face of that shot and maybe saturate the stone a bit. Between the two, there just might be a pretty unique composition. Nice shot! The bird makes the entire screen to life. GB the bird makes this one. I wish it were a little further from the cliff. Very nice. Thanks Greg. Yeah a little farther away would have been better. It's more discreet this way though, makes you look twice. 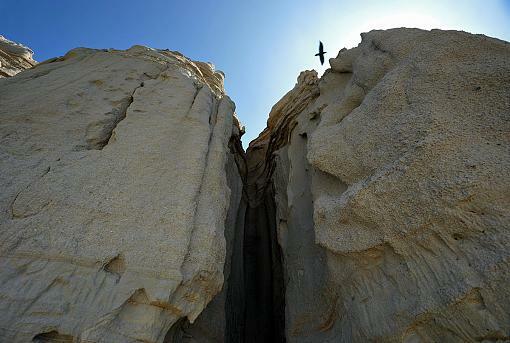 Have you thought of moving the bird about where the first cliff ends - move the bird backwards which would balance the shot better. I liken this to photographing boats where you need space for the boat to move into.